Pikuniku is ranked in the 70th percentile of games scored on OpenCritic. Pikuniku is an absolute treasure, whether you play on Switch or PC. Sectordub have smashed it with the fabulous soundtrack, the way it looks, plays, feels, and everything else in-between. Pikuniku has me completely wrapped around its’ overly long legs. Pikuniku’s adorably hilarious approach to overthrowing a dystopian regime makes this brief adventure one worth spending a chilled out afternoon with. Pikuniku is a short-and-sweet experience that's fun, simple, engaging, and smooth. I can recommend it to just about anyone. We struggle to recall a dystopia quite as cheerful as the one found in Pikuniku. It's a short game, but one packed with heart and imagination, with a great single-player component and excellent couch co-op that can genuinely be enjoyed by anyone. It makes us remember the fun we had cutting pieces from our friends in Snipperclips, but where we occasionally hit a brick wall with that game, Pikuniku sidesteps frustration in favour of a breezy and charming adventure; a perfect salve if you need a break from the backlog, but don't dive in expecting endless hours of gameplay. Pikuniku is an intriguing game as it takes some heavy concepts and transforms them into something colourfully palatable, with interesting characters and a fun soundtrack. This game will not challenge you nor will it show you anything that you haven’t seen before from a mechanic point of view. Clocking in at only 3 to 5 hours, you won’t even be playing it for all that long. But what Pikuniku will do is make you smile. It’s outrageous, random, nostalgic, and most importantly, shouldn’t be missed. Pikuniku is an eye-pleasing, entertaining outing that just oozes charm, with characters who are endearing without ever becoming irritating. If you want a game that will have you grinning with joy, then pick up Pikuniku. 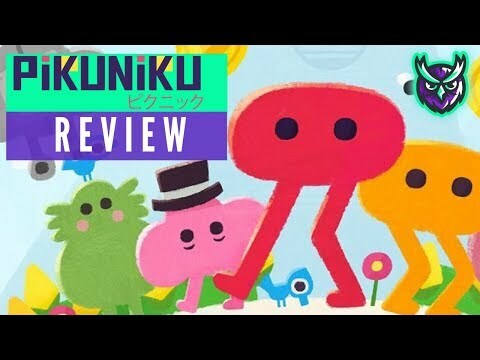 If you are looking for a game that will constantly have you asking yourself what you just experienced, Pikuniku may just be what you are looking for. The main story can take you anywhere from 3 - 5 hours along with nine co-operative levels, trophies to discover, and achievements to unlock. Pikuniku is a truly delightful fever-dream on two spindly legs. Honestly, it’s just a really fun game and you should play it. It is only a few hours of your time, and it’s sure to bring a smile to your face. It would have been nice if Pikuniku was longer and had a bit more to its story, if only because it means spending more time with its interesting and charming world. 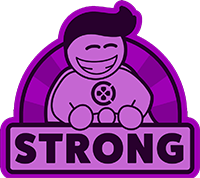 Still, what we have is a fun blend of physics-based gameplay, traditional platforming, exploration, eye-catching art and a fun cast that makes for one cute, highly-enjoyable experience. It's a quick little romp through a gleefully bizarre world that you won't regret checking out. Pikuniku is a bizarre and often hilarious puzzle platformer that is too hamstrung by its brisk campaign to make it much more than a neat distraction. Pikuniku offers a few amusing moments, but its underwhelming presentation and simplistic gameplay make for an easily forgettable experience.